A school in Birmingham linked to the so-called Trojan Horse scandal has announced its acting headteacher is to take on the role permanently. 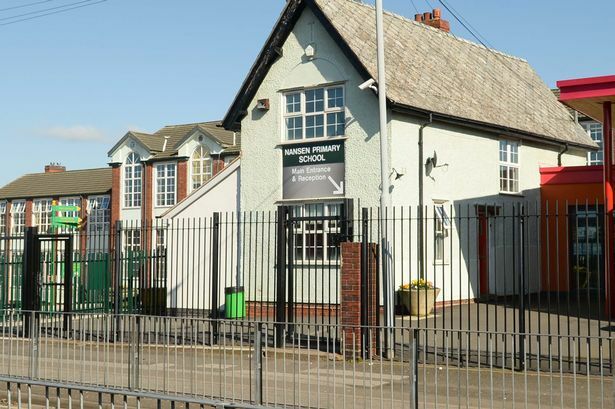 Nansen Primary, in Alum Rock, has had a turbulent time since it was placed in special measures by watchdog Ofsted in April 2014 following snap inspections sparked by the emergence of an alleged plot by hardline Muslims to Islamise non-faith schools. Cath Rindl, current head at Benson Community School in Winson Green, has also been working as interim head at Nansen since April last year. She is now set to quit her job at Benson Community, where she has worked for 12 years, to work solely for Nansen from September. Mrs Rindl was drafted in after the school&apos;s previous interim head Rashida Sharif left in March 2015. The departure followed a damning Ofsted inspection which revealed pupils as young as eight were being violent towards staff and ? ?7,000, which should have been spent on educating children, had been used to refurbish the head teacher&apos;s office. Adrian Packer, chief executive of CORE Education Trust which runs the academy, said: "I&apos;m delighted to announce Mrs Rindl&apos;s appointment as Nansen Primary School&apos;s new permanent head. "It&apos;s a very important step forward for the school and we are confident she is the right person for the job and will build on the excellent work she has already done there. "Mrs Rindl will continue to lead Nansen Primary School in an interim capacity in the run up to the next full Ofsted inspection, which is expected during this academic year. "We will work closely with her current school to ensure a smooth and effective transition." Of the appointment, Mrs Rindl said: "I would like to express my gratitude to the trust for appointing me to this exciting and challenging role and for all the support it has provided during my time as interim headteacher. "I very much look forward to continuing to work with the trust and Nansen&apos;s very committed teaching staff, who I know place the children at the centre of everything they do. "Exciting times lie ahead for Nansen and I am confident the academy will be out of special measures in a very short time, thanks to the plan that has been put in place by the trust, governors and staff. "My aim is for this academy to be one Birmingham&apos;s top performing primary schools. I very much look forward to making that become a reality."